This book was originally written in the 1970’s and became a classic for its adherence to Scripture and its simplicity. 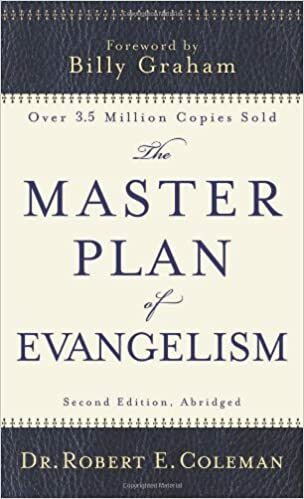 The premise of the book is that Jesus plan of evangelism was to pour His life into 12 followers who, in turn, could eventually pour their lives into others and so on until the impact was felt around the world. It presents the challenge of making sure that we are being discipled ourselves by someone who knows and loves Jesus – and that we in turn are investing our lives into a small group of others who will become followers of Jesus as well. An excellent resource that will challenge and inspire.